Industrial CD-ripping specialist Ripfactory has turned its attention towards the home audio server market with the launch of a new automated burner that doubles up as a 1TB Network Storage Device. No, that wasn't a typo: this little ripper really can store one terabyte of music. That's around 250,000 individual MP3s at 4MB a track. Called the Ripserver, it looks much like any other square black box, but plugs into a network connection and can be used to automatically rip CDs to a user-selected bitrate in either FLAC or MP3 format. Simply insert the disc and it’ll do the rest, adding all freshly ripped content to the media library before gently spitting the disc out when it’s done. The device runs on a Linux operating platform and is configured via a simple web browser interface. In addition to the actual music, it’ll also store useful metadata including album covers. A USB port also allows secondary or backup storage devices to be attached. Taking care of media server duties, the Ripserver’s integrated UPnP server includes both Twonkymedia and SqueezeCenter for media serving to any network-connected audio device. 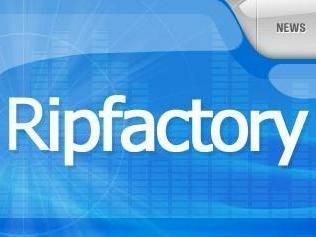 Compatible with a host of media server devices from the likes of Buffalo, Escient, Sonos, Logitech, Netgear, Sony and Philips, the Ripfactory Ripserver is available now. It'll set you back £599 for the 500GB model and £699 for its 1TB big brother.